Most runners detest hill training. However, once they realize how quickly hills can improve running performance, they begin to see hills as their best training partner! Hill training is the most efficient way to build running strength. It is low-impact training with minimal stress on the joints and minimal risk of running injuries. 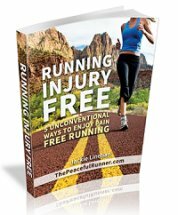 Yet, it helps runners develop strength and speed in a relatively short period of time. Hill running has similar benefits as speed work but without the high impact and risk of running injuries that come with speed training. Hill running enhances knee lift and naturally increases your heart rate. It provides variety and intensity as it improves endurance, speed, strength and develops muscle fibers. Because the incline forces your body to work harder with each step, you become stronger, you get faster, your running technique improves, your heart is more powerful, and your breathing rate is more controlled. The incline also forces the knees to lift higher resulting in improved stride speed and length. A New Zealand study concluded that hill training can increase running speed by 2 percent. Twenty well-trained runners ran 5 kms 2 percent faster following six weeks of hill training. Even though various types of hill training programs were used, the results were the same for all runners. 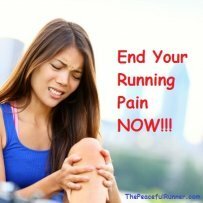 Make sure your running technique is correct. An incorrect running form will make the hills feel much harder than they need be. Stand straight and tall with eyes looking straight ahead—not up! Shoulders back and chest out to allow the breath to flow easily. Lean slightly from the ankles—not the waist! Swing elbows forward at a 90 degree angle to help you move up that hill! Take short, quick steps as you run uphill. During a race or long run, run by effort not pace. This means you will run slower on the hills helping you conserve your energy for the rest of the race. Become one with the hill and let your breath guide your pace. During training workouts, practice running hills hard to build up fitness and strength but ensure you allow ample recovery time. You can use the downhill to recover by walking back down or slowly jogging down. When you initially begin hill training intervals, start with more shallow hills and progress to steeper ones as your fitness builds. All hill interval training workouts should start with an easy warm up run of at least 10 minutes. Stay mindful as you tackle those hills. Pay attention to what your body is experiencing. Notice how you are breathing and if possible, practice nose breathing. There are three main types of hill training programs. Each one has their own desired outcome so you can utilize all three at various times depending on your current goal. The short hill repeats program is designed to build speed. Initially you may want to start on a more shallow hill but eventually these are meant to be done on a short steep hill. 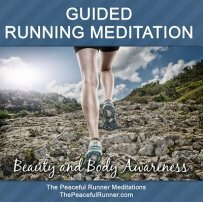 Begin each session with an easy 10 minute warm up run. Start by doing 4 or 5 reps of 10 to 30 second uphill intervals. Recover between reps by walking down the hill and take 2 or 3 minutes rest. Gradually build up to 8 to 12 reps.
"Hills. We love them. We hate them. Today I chose to embrace hills." The long hill repeats program is designed to develop strength. These intervals are meant to be done on longer, more shallow hills. Begin each session with an easy 10 minute warm up run. Start by doing 4 to 8 reps of 30 second uphill intervals with a 2 to 3 minute rest period between each interval. Build up to 4 to 8 reps of 60 second uphill intervals with 3 to 4 minutes rest. To add more intensity, build up to 4 to 6 reps of 90 second uphill intervals with 4 to 5 minutes rest for each interval. The long hill runs program is designed to build endurance. These hill runs will form part of your long slow run. Initially, add one half to one mile of moderately steep uphill running every second or third week. As your fitness improves, increase the total distance to 2 to 3 miles every second or third week. These hills should be ran with a consistent, easy pace. 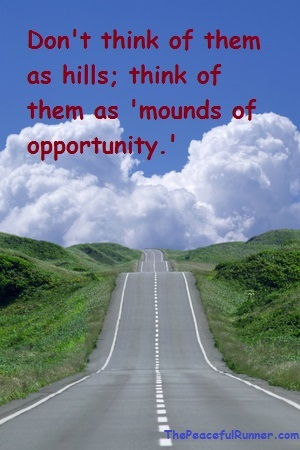 So make friends with hills and run them wisely. They are a quick and relatively easy way to improve your running economy, your strength, stamina, endurance and cardiovascular fitness.